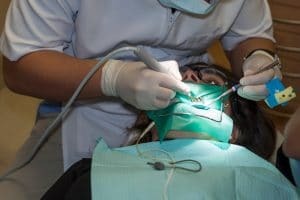 A blog explaining what is a root canal treatment, why such dental treatment is needed and examples of why we see an abundance of negligence claims in this area of dentistry. What is a root canal treatment and why is it needed? Root canal treatment, or endodontics as it is technically known, is a dental procedure that is carried out to treat infection within the centre of the tooth (which is called the dental pulp). The tooth is made of the crown, which is the part of the tooth that is visible above the gum line. The tooth also has a root, which extends into the bone of the jaw and anchors the tooth in place. The dental pulp is the soft tissue at the centre. The pulp can get infected by bacteria, which can cause painful symptoms and eventually result in the death of the pulp. If a bacteria infection exists in the pulp of the tooth then the only available options are extraction or root canal treatment. A root canal treatment aims to remove the bacteria from the root canal system of the tooth. During the treatment, the dental practitioner will remove the nerve and pulp from the tooth and thereafter clean, fill and seal the tooth. Assuming the treatment is carried out to a satisfactory standard, a tooth can survive for up to 15 years after root canal treatment. Residual infection – most endodontic failures are due to the presence of residual infection. This may be caused by under filling of the root canal, which can allow bacterial contamination of the under filled root canal, resulting in an abscess or chronic inflammation. Fractured instruments – Instrument fractures occur when the tip or part of the instrument breaks off in the canal. This is seen as a recognised complication but it is imperative that a patient is told about the fracture and offered the option of further treatment. If the fractured instrument is left in the root canal, it can leave the tooth vulnerable to re-infection. Perforations – Perforations can occur when locating root canals or over filling the root canal, and can lead to nerve damage. Perforations should be repaired as soon as possible, as if left, bone loss around the perforation can occur and it may not heal. Although failed root canal treatments are not always due to negligence, unfortunately, we continue to deal with a lots of claims where root canal treatment have gone wrong due to negligence on the part of the dentist causing the patient pain and suffering and requiring further dental treatment. In some cases, a negligent root canal treatment can result in the loss of a tooth. If you think you may have suffered injury due to a root canal treatment, please contact a member of our team for advice on making a claim.